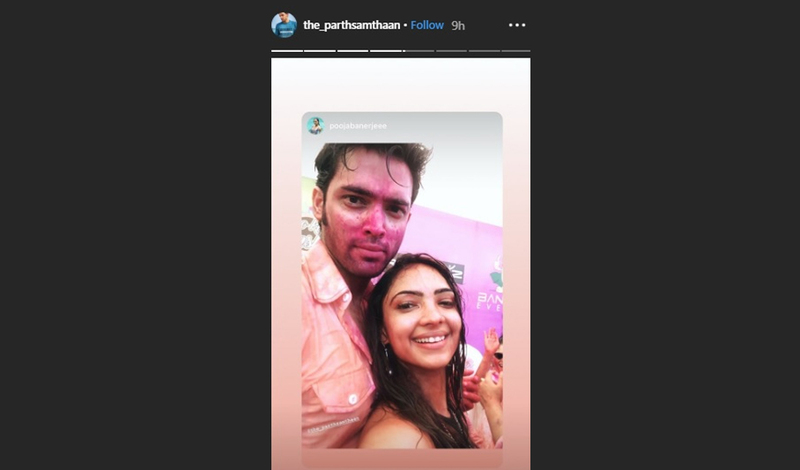 From Parth Samthaan, Erica Fernandes, Pooja Banerjee, Shubhaavi Choksey to Pearl V Puri, Karishma Tanna, Urvashi Dholakia, Vikas Gupta and Arslan Goni among others, the biggies of television world joined Ekta to celebrate the festival of colours on Thursday. 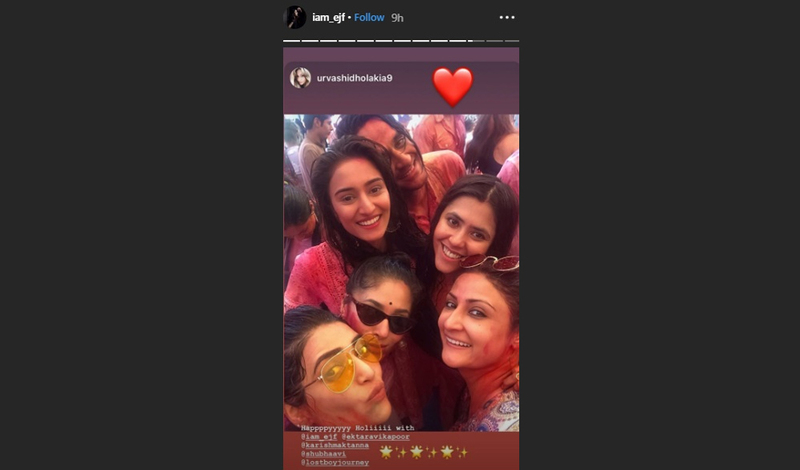 Ekta took to the photo-sharing app to share a selfie, where all can be seen smiling to their hearts' content for a perfect selfie. 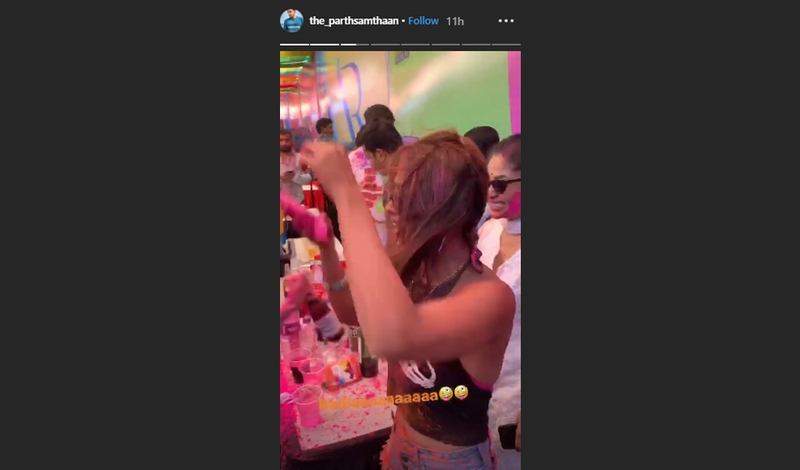 Most of these celebrities posted their mad photographs on their Instagram handles. 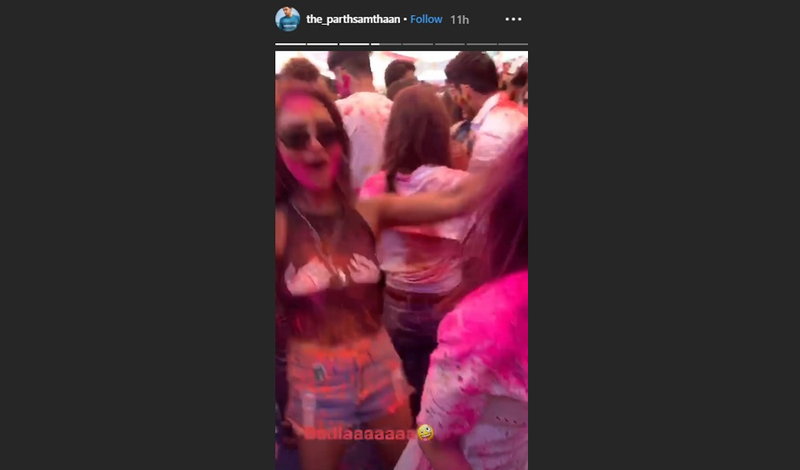 Erica, Parth, Karishma, Urvashi and Vikas among others are all drenched in colored water. 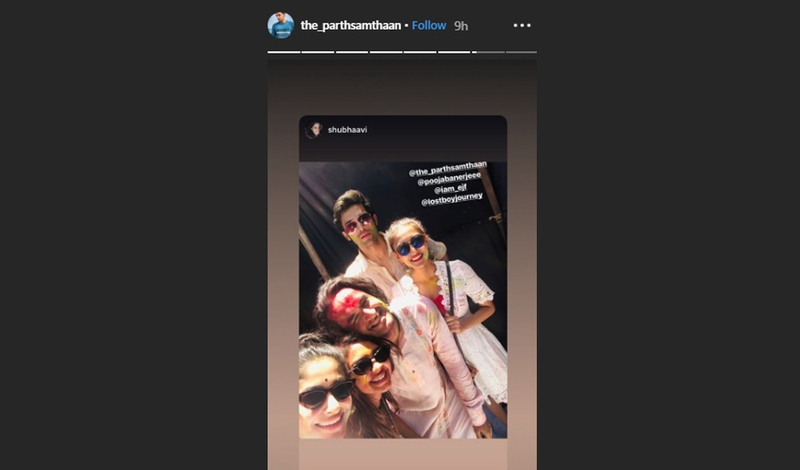 Aren't these a frame-worthy selfie? 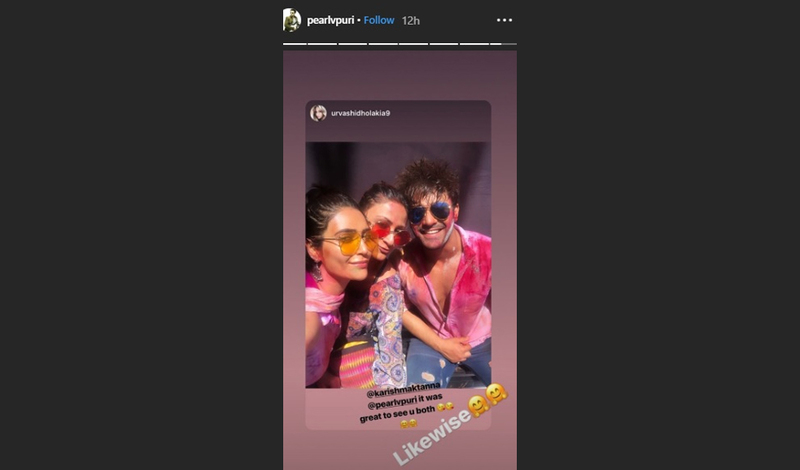 Vishal Gandhi, Preetika Rao, Kanika Mann, Rehaan Roy, Adaa Khan, Yogita Bihani, Chandan Prabhakar and Zain Imam were a part of the celebrations. 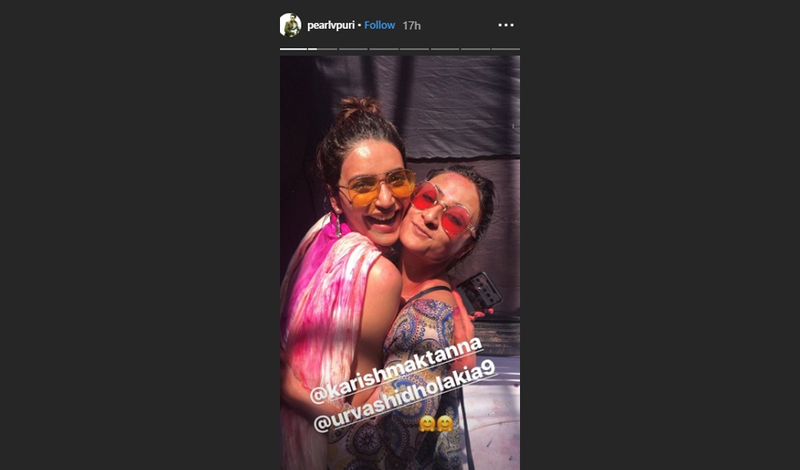 Ekta hosted the Holi party at the Celebrations Club in Andheri. 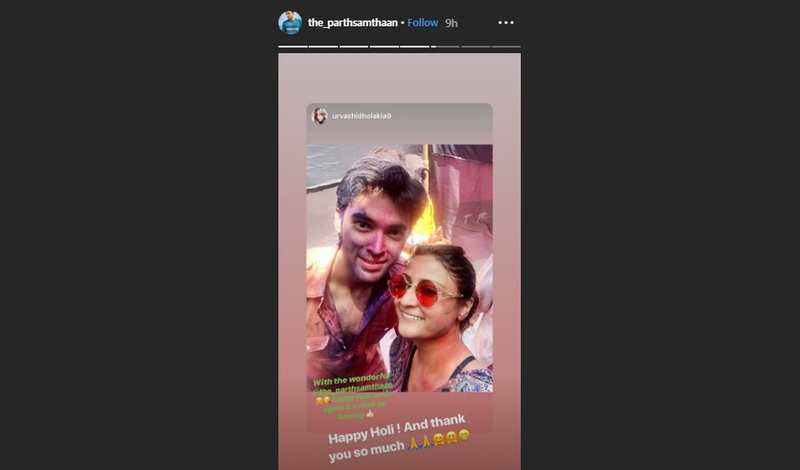 Going by the pictures, it seems like the Ekta had a really fun time spending this Holi with the people she loves and likes to be surrounded by. 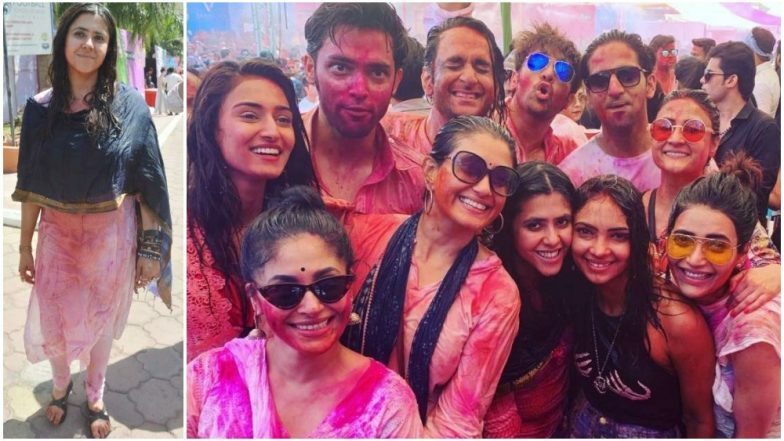 After shooting day and night, the actors made sure to take some time off for each other and celebrated the festival of colours together. 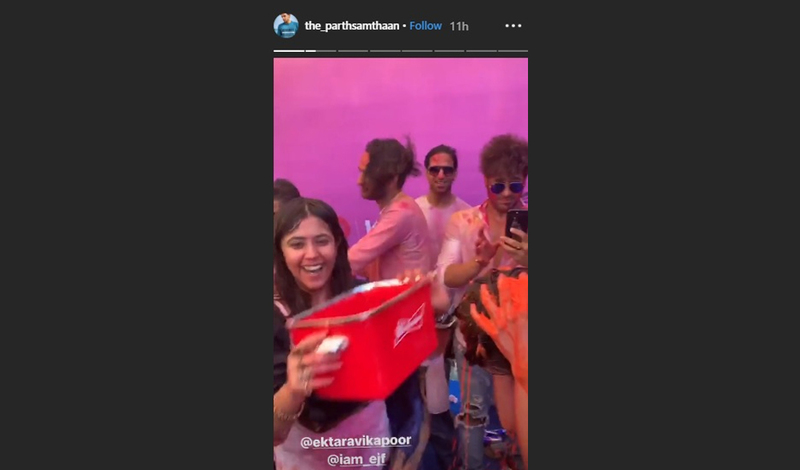 Tags: Arslan Goni Ekta Kapoor Ekta Kapoor Holi 2019 Ekta Kapoor Holi Bash Ekta Kapoor Holi Party Erica Fernandes Holi 2019 Karishma Tanna Kasautii Zindagii Kay 2 Naagin 3 Parth Samthaan Pooja Banerjee Shubhavi Choksey Urvashi Dholakia Vikas Gupta Zain Imam were a part of the celebrations.